Finances: The SIG finances are in great shape, with a surplus for the third fiscal year in a row, allowing us to recover from some losses during the year immediately following the burst of of the tech bubble and the 9/11 attacks. All of our events broke even or had a small surplus, including the Internet Measurement Conference that had to relocate from New Orleans in mid-October 2005 following the horrible devastation by Hurricane Katrina. (We are especially grateful to the IMC steering committee, and ACM SIG Services, for responding so quickly to move the conference to Berkeley, California.) Our current fund balance is healthy, giving us room to take some calculated risks in the coming years. Awards: The SIGCOMM community had strong year of recognition of the research contributions of its members. Deborah Estrin won the first Athena Lecturer Award presented by ACM's Committee on Women in Computing (ACM-W) to recognize women researchers who have made fundamental contributions to computer Science. Five senior members of the SIGCOMM community became ACM Fellows: Tom Anderson, Christophe Diot, T.V. Lakshman, Walter Willinger, and Hui Zhang. SIGCOMM recognized Domenico Ferrari with the SIGCOMM Award for lifetime achievement for his numerous contributions to data networking, including his work on Internet quality of service architectures and wide-area network research testbeds, as well as his leadership in managing the BSD Unix project. New award: SIGCOMM created a new award, the "SIGCOMM Test of Time" award to recognize a paper published 10 to 12 years in the past in Computer Communication Review or any SIGCOMM sponsored or co-sponsored conference. The first winner was Vern Paxson for his paper "End-to-End Routing Behavior in the Internet" at SIGCOMM'96. We also retrospectively presented the award to the authors of the notable papers from 1969 to 1995 that were published in a special issue of ACM SIGCOMM Computer Communications Review in January of 1995. Geodiversity travel grants: Following up on last year's initiative to fund junior faculty from Latin America to attend the main SIGCOMM conference, the SIG sponsored three junior faculty to attend SIGCOMM'06. The recipients hailed from Brazil, India, and Thailand. New at SIGCOMM'06: The main SIGCOMM conference made several changes this year. First, the program chairs experimented with a two-tiered program committee, where "PC light" members reviewed papers and contributed to e-mail discussions, and "PC heavy" members also attended the PC meeting and did additional reviews of the papers in serious contention. Second, the program chairs expanded the program by accepting 37 papers -- a record number -- while continuing the single-track format. Third, they created a discussion board for the community to post comments and questions about the papers before, during, and after the conference. Fourth, they had a "public review," in the style of a NY Times Book Review, for each accepted paper. These initiatives should go a long way in increasing the energy and vibrancy of the conference. CoNext: The SIG decided to become the financial sponsor for the CoNext Conference on Future Networking Technologies starting in 2007. The annual conference, initiated by the European networking research community, began in 2005 as an "in cooperation with SIGCOMM" event. 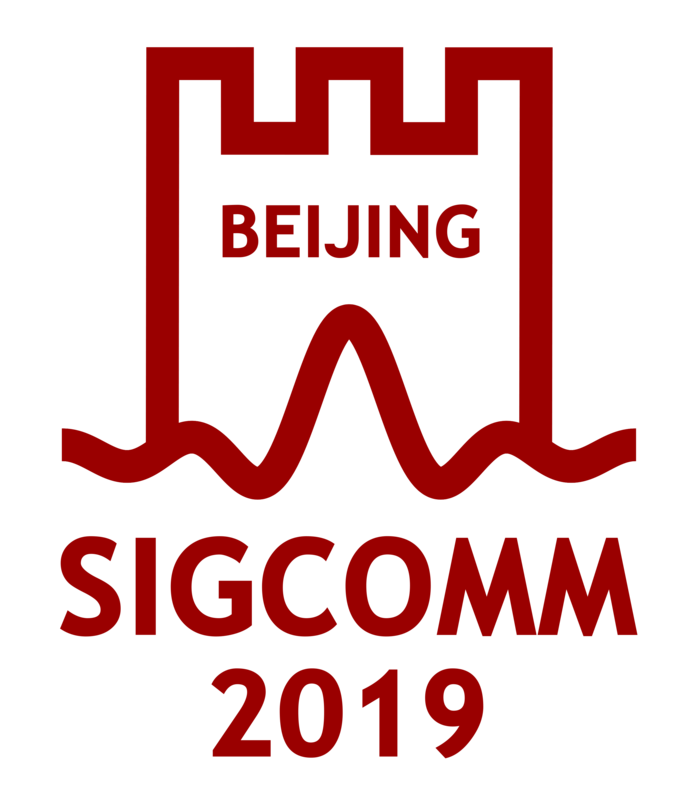 We envision that the conference will run six months out of phase with the main SIGCOMM conference and will be located primarily in Europe, taking place periodically in other regions, particularly in years when the SIGCOMM conference takes place in Europe. Community e-mail list and policy discussions: At the SIGCOMM'05 business meeting, the SIG raised a number of important policy questions for discussion in the community. For example, we discussed how our conferences should consider past publication of a short paper in a workshop when reviewing a full-length version of the paper for a conference. We also discussed whether SIG-sponsored events can have limited attendance and, if so, under what policies. We created a public e-mail list for discussion of these and other issues, and have been documenting the results in a FAQ. CCR Newsletter: The Computer Communications Review (CCR) -- the SIGCOMM newsletter -- has been an increasingly vibrant publication under the leadership of editor Christophe Diot. New columns have been added on discussions of "top ten favorite papers" by members of the community, and the hilarious musings of Michalis Faloutsos on topics of interest to the community (including "The Internet, Who's Your Daddy? ", destined to become a classic). The number of submissions to CCR increased significantly during the past year. SIGCOMM'07 in Kyoto, Japan: In August 2007, the main SIGCOMM conference will take place in the Asia-Pacific region for the first time. The conference rotation schedule is now on a three-year cycle between North America, Europe, and a wildcard, where the conference could take place in any region every third year. In 2008, the conference will return to North America. We plan to start the site-selection process for SIGCOMM'08 shortly. We are looking forward to next year, and gearing up for the SIG Elections. The elections committee, chaired by Professor Jim Kurose, will be identifying candidates for the offices of chair, vice chair, and treasurer during the fall, identifying at least two candidates for each office by the end of January 2007.